Work for Boomerang for Gmail? Learning about Boomerang for Gmail? The Send Later feature is great. When you find yourself writing emails the night before if you're trying to get a million things done that day or will be travelling the next morning, Boomerang allows you to schedule the email to be sent at 8.30am the next day for example. You can set it for any time in the future and even save specific times you use often as a template. It's only something really small, but when you first setup the paid for version on mobile, it sends emails with the signature of "Sent with love using Boomerang" or something... this looks terrible when sending emails to clients. It's easily changed but only when you know it's doing it!! I think it's great and really reasonably priced - I use it for two separate Gmail accounts and the mobile version is extremely helpful. Google now have Inbox which has some similar features but I'm happy to pay the annual subscription for Boomerang. It allows me to send emails at different times in the future, this is great for when you are catching up with work and it's late in the evening. You can always schedule the email to land on your clients inbox first thing the next morning, even if you know you'll be travelling or unable to access email (in a different meeting). The ability to send incoming emails away for an hour is great and the new "pause" button is really helpful for allowing you to keep focus. "Empty Inbox, Late Night Emails, and Better Organization!" Boomerang for Gmail integrates seamlessly with Gmail as a Google Chrome add-on, which makes it easy to use and prevents it from becoming one more thing to remember. Additionally, the ability to send messages later and return messages to my inbox at a preset time is extraordinarily helpful in managing major projects over time effortlessly. On a related note, the business hours of many of the people we email differ from our own. Scheduling emails to send at a time that is convenient for them to receive an email has drastically increased reply rates and allowed for more natural correspondences. To my knowledge, there is no straightforward way to include a "note to self" when setting an email to send later as a reminder. This inability takes away somewhat from the seamless, natural use of Boomerang, often requiring me to first forward an email to myself before scheduling it to send later. Some of Boomerang's features may not be natural to use at first, even though they are excellent and useful tools! Starting with the Basic version of Boomerang for Gmail is a useful strategy to experiment with its many features before using it to its full potential. The Boomerang Respondable feature is an easy way to help tame emails that could otherwise come across as loquacious or overwhelming by keeping track of factors that could impact the email's likelihood to receive a response. Its seamless integration with gmail makes it easy to use. "I tried Boomerang for Gmail "
I love that I can write a ton of emails when I have time in the office and assign them to be sent at a later time. I used to have to write the emails and then save them as drafts and set reminders to send them at the correct time. Go for it! I love the ease of use and it has helped keep me organized within my business. It is really a simple product that helps in a lot of ways that you didn't know you needed help in. same as above - I love that I can write emails now and send them later. I use them to send couples emails a month before their weddings with questionnaires. "Amazing. Exactly what I need"
I like that I am able to get a lot of work done at once. Boomerang helps me prepare for the rest of the week/set future reminders for myself and do the heavy lifting at once with ease. I really have no qualms with boomerang. Maybe UX changes for outbox? I really like how it's integrated into my email. Great for having emails pop back up into your inbox, also helpful for scheduling emails. I like to write late at night, but want the emails to go out first thing in the AM. Very helpful for me! Sometimes I forget that an email is going out and I double email, but that isn't a problem with me, its a boomerang problem. "Quite handy addon to your Gmail account"
Boomerang helps in the way that you never have to worry about forgotten email conversations again. The fact that it sends you an alert to non-replied messages is great. The feature worked every time I used it without problems and was very helpful. The price could be a little lower, we are still thinking about to distribute it to all other colleagues. Recommended a lot for everyone who has a Gmail work account and is involved in heavy email traffic or many conversations at the same time. As we are using Gmail accounts at our company, because of the Google tools, this one is could be a nice addition to our email accounts. I can send out emails later if I am not in the bureau for a certain time. Also, there are nice tracking features, for example you can observe how many time a customer has opened his email. "Boomerang helps you to save time and efficient email work"
The implementation in Gmail and the setup is fast and on point. All features and settings are available directly in your Gmail account. You do not have to worry again that you forgot some important emails or conversations with customers or colleagues and partners. It works only with Gmail, this is sad because I have two parallel work email accounts. It would be very nice if in the future the tool can also be used with other email addresses. I will use it in the future because I have a far better overview over my flood of emails and email partners at work. For little money you save time and get a far better overview and more structure at your daily work. The tool sends a Boomerang email back to you if a certain email conversation partner has not replied in a certain time you can set. Also, it has some nice and detailed statistics for you about your email usage. This tool is simple yet genius. It allows me to follow up on outbound emails without having to keep a running list on paper or having to keep those items sitting in my gmail inbox and contributing to visual clutter. Rather, I can send out an email that I am expecting or need a reply to and then set a "Boomerang" for a week if no reply has come in. This helps me look extremely organized to my colleagues. To be honest, I do not have any dislikes for this product. I suppose that finding the "outbox" - that is, messages marked for Boomerang - can be a bit confusing, but I rarely need to check on those messages or amend them anyway. I would recommend Boomerang without hesitation. It is so easy to install/ use and really alleviates the burden of having to keep track of all sent emails awaiting a response. There is virtually no learning curve or "implementation" required, so it is really a no brainer to download this plug in and begin using it right away. Your colleagues will be impressed with your level of follow-up! This has helped me to manage follow-up on outstanding items, particularly when the outstanding piece of communication is on someone else's end and I need to remember to check in with them after a certain period of time (i.e. : a week). Boomerang serves as a reminder to check in with that person; it helps me to keep on top of these outstanding items and helps me to hold others accountable, too. "I couldn't work without this tool!" Boomerang makes sure that none of my emails go unanswered, and that I don't forget about any responses. It serves as a task reminder, makes it so that you can send emails at the optimal time, allows for recurring messages, and will even notify me if a sent email has gone unanswered. A lot of my tasks and responses would fall through the cracks without Boomerang. I can't say enough good things about it! There's really nothing to dislike. It's cost effective, easy to deploy to new users, exceptionally easy to use, and very reliable. I can't think of any downsides of this product. Adding Boomerang to your resources is a no brainer. It's cost effective, super easy, and is a very valuable tool. I can also see a significant need for individuals to use this product - not just teams in a business setting. If my company ever decides to get rid of Boomerang, I'll likely pay for my own subscription, because it makes my email system so much better that it's worth the personal investment. Overall, it allows me and my team to ensure we're not forgetting about anything. It makes client follow-up effortless, and it allows us to work at any time of the day or night but send emails at more appropriate times. Our communication has improved and far fewer tasks have fallen through the cracks. It's transformed our email system! "Great Product for Keeping a Busy Inbox Organized and a Person On Track! " There is really nothing I dislike about it. The features are great. I wish that maybe for the free version they did nit limit you as much, however you can earn more through referrals. Aside from that and just getting use to basic set up and use there isn't really anything I dislike enough to criticize. Definitely worth the try. It's amazing how it keeps your inbox organized and on task. Deadlines are very important in my world and this definitely helps combat that problem. It's a safety guard that keeps me on track with appointments in work life and in home life! "A nice valueable addon to your Gmail account"
It adds nice features to your Gmail account without going too far. It helps to get me more structure in my daily work and saves me time. Especially the boomerang feature where you get an alert message if someone does not respond to your email in time is helpful. The mobile version does not work as handy as the desktop one. It could need a little improvement but I am sure this will be addressed in the future. I can say that this tool is excellent for people who work with Gmail and want to be more structured about their emails. And also, it has a free trial period where you do not need a credit card. So you can test it without taking a risk. I receive and have to write a ton of emails at work. Especially with a huge amount of customers or potential customers I tend to lose my overview. If a conversation stops I sometimes do not even know about it. Boomerang helps me with this. It saves me a lot of time and I have a general better overview of my work email conversations. "Keep track of all conversations via Gmail with this tool"
The feature that you get a boomerang message if the receiver of an email did not respond at a given time. With this feature, you will never lose the attention to open conversations. Also, the price after the trial period is very reasonable. The mailing categorization is more or less not accurate. I think this feature needs improvement. Also, the main feature did not work at the start for some cases but after a nice chat with the support, the problem could be solved. Also, I see sometimes emails that are marked as unread although I have opened them already. I tried the trial version of it and was very satisfied so I bought the pro upgrade right away. I think that this tool can be a benefit to all people who want to organize their Gmail accounts better at work. I organize my mailings on my Gmail account at work with Boomerang. Mainly I use the main boomerang feature and keep my mailing statistics updated. Also, a nice benefit of this tool is the feature to send emails later. At any time of the day, you can prewrite emails and send them at a given time at which you think the open rate will be improved. "Nice niche tool for Gmail"
The mobile support does not work at all times. It had frozen on my mobile phone in the past. And sadly it offers only support for Gmail accounts. The tool offers nice features if you need them and has a reasonable pricing system that comes with it. Before that, you can try all features for free. Try it for yourself, I can recommend the features. I keep track with this tool about all my mailings with colleagues about work topics and also with people from other companies. I do not use this tool for all emails but for important conversations, I use the name-giving Boomerang feature. The benefit is that I do not lose track or the overview of all my mailings. "Does what it says it does"
The main feature of Boomerang is an email alert if one of your mails is not responded in a certain time. Also you can schedule mailings for automated sendouts. Both features work easily and are nice. One time the main feature didnt work and as I relied on the tool I have forgotten an improtant client but other than that I can say nothing negative about this great product. You can test it for free in the trial period, I think it is about 30 days. So there is no risk for you in testing it. We have many customers or reach out to potential customers va mail correspondations. It is most important for us that we dont lose track of the conversations with these people because our business is relying on new customers. Therefore ths tool helps a lot in gaining an overview of all correspondations and helps saving time for searching old mailings which are not responded yet. "Nice upgrade for the standard Gmail experience"
The main feature that notices you when an email you sent wasnt opened in a period of time that you set. It is a very important feature added to my gmail account. Also the other feature I like the most is the scheduling feature. You can schedule mails in advance so that they are send at a specific time and date. This comes in handy when you have large bulks of mails to write per day or at a specific time like me. The respondable feature helps you to write mails with some key indicators. In my opinion this feature needs more improvement. I think the key numbers dont give a clue if your conversation partner is more likely to answer or not. I can recommend it for other people like me who are writing many emails per day and are heavily relying on customer contact. This tool helps a lot to get a good overview of your mail correspondations. I have to rely heavily on my mail contact with customers. In the finance branche I need to make sure that my (potential) customers are reacting to my mails accordingly. The features of Boomerang are helping me with that. "Easy to use and helpful when you want to schedule emails for later "
This extension is a lifesaver especially if you need to schedule to send messages for a future time or date. It is also amazing because you can have it automatically "resend" the email to yourself if you need to view it at a more pertinent date. For as school email marketing project, this was the tool we used to schedule and send a mass email out without having to purchase a subscription to an email marketing platform. There are only a certain number of bulk emails you can send out at once, then you reach a limit. This is only for the free version of the extension. Also once you select the time and schedule it, it sends pretty abruptly without a pre-confirmation message so be aware of that when you're scheduling a time for the email to be sent out. Be aware that with the free version you can only send out X number of emails in 24 hours. With the paid version it's much more. Sending emails out at a later time. Sometimes I am working on clients accounts and it is on the weekend or late at night and I don't want them to think it's normal for me to be working on the weekend or that late. I schedule them for a time early the next morning. "Mailing overview for unstructured people like me"
The feature that I never lose the overview of my mailing conversations. I often lose a lot of time because I have to search a mail which I have the feeling of that the mail is not responded. Nearly nothing. I think after the trial period I will pay for the paid user features. If you have problems like me with losing track of your improntant mail conversations I think you should at least try the free trial of this product. As described above I tend to lose the overview of my mailings. Especially important for me are mails which have to be answered in a certain time limit. For example mails for financing some things in our city. I can set a boomerang alarm for this mail and when I will be alerted than I can ensure per telephone or something that I get an answer in time. "Perfect for Keeping it Professional"
LOVE Boomerang for Gmail! I often work late at night and being able to schedule client emails and replies for a more "business appropriate" time in the morning really saves me time. I can schedule an email for anywhere from minutes to days in the future so I never forget to send that important email at the perfect time. I haven't found anything I dislike about the Boomerang for Gmail service. I was thrilled to have found it and really love the amount of time it saves me, not only in my daily work, but my long term to-do list. Also eliminates the possibility of missed emails that normally need to be sent at a specific time and I forgot! Really helps me to be more professional which is very important in publishing a magazine and managing clients like we do at The Northwest Horse Source Magazine. Highly recommend this product for businesses that need to send emails at times other than when a person is sitting at their desk to send it. Scheduling emails allows me to check off my do-list much for quickly and effeciently! I often work late at night and being able to schedule client emails and replies for a more "business appropriate" time in the morning really saves me time. I can schedule an email for anywhere from minutes to days in the future so I never forget to send that important email at the perfect time. "Boomerang for Gmail - Mail handling is becoming simpler." Boomerang for Gmail is piece of great add-on. It allows me to plan sending an email with condition which is needed to send eg. no reply from receiver to the time sending is planned. I use it not only on my PC, but also on my iPhone! It is simple app, but it can be relatively not that cheap. I mean sure, there is a free version but it contains only 10 messages for month! The cheapest version with unlimited messages costs $5 per month and the most expensive one is $50! I recommend trying it not to business. You won't do much with 10 messages but you still need to know how software works before spending money on a subscription. I run small internet shop since not such a long time. I am not that much into tech and this software helps me with replying my customers when I need to send them a reminder or even stuff that simple as holiday's wishes, because why not? It's not checking the text of what you send, so you can plan to send everything. "Boomerang - My review "
Boomerang is a very convenient and free plug-in for scheduled mailing. Thanks to it, we can send an e-mail for a specified period, when we have such a need. Re-entering the post office and pressing the button, send, can be a nuisance, and there is a risk that we will forget to do it. That's why this program is a great solution for me. Another advantage, which is worth mentioning, is the option, that when we do not receive an answer to the e-mail, he will return to us to the inbox. Although it is free, it allows us to send only 10 scheduled emails per month for free. If you need an unlimited number of emails for probably $5, you can buy unlimited number of emails. Besides, while using this program I did not notice any problems or complications. Boomerang can owe it to the fact that sending emails that I have ordered for a couple of days is automated and I can spread the work out, which makes me less dependent on deadlines. In addition, I avoid the possibility of forgetting to do something like this. "Easy, but a little wonky"
I don't use Boomerang often, but when I do I'm so glad it's in my back pocket. It's great for building surprises, or for keeping up correspondence while you're away. It doesn't really invade your Gmail, either. It stays tucked away waiting on you to use it when you need to. It also acts as a pop-up, so if it's not allowed, it won't work. But that's not really a big issue. It's a little funny to try and set an exact time/date. It defaults to two days, but I think it should be shorter -- maybe more like two hours. If I need to change the date, I can do that, but it's very seldom that I want to send an email to be delivered on a different day -- more often than not I'm sending an email a few hours later. For example, you have an interview and you want to send a follow up thanking them for their time, 2 days is way too long, but 2 hours is just right. It's free, so there's really no need to think about it for a long time. Download it, try it out, see if it works for you. I'm sure there are other options out there, but Boomerang was one of the earliest ones and has been a solid product for the years that I've been using it without a single issue or need to call support for help. As a freelancer it allows me to schedule emails to people in the present without needing to worry about them in the future. In the past, if I had an email to send later, and waited until then to do so, I sometimes forgot about it and never got back to it, which doesn't look great if you're trying to maintain communication with clients -- or worse -- bag new ones. So, Boomerang gives me the peace of mind knowing my correspondence is up to date even if I haven't really gotten to them yet, in a sense. I like the in Google chrome the idea of " send this page for later " since it helps a lot to keep anything you might need tidy in your email. Also the note that you can add in the boomerang of an email is an effect that has helped me greatly. A plus for me is ofc that is free of chanrge and is not sending many pop up notifications to the customer whiIe using it . believe that there are many fautures that I don't know about that ther collegues use but for us it was recommnded mostly for mail schedulling . Sometimes I get easily confused in i6t;s futures ending up not wanting to use it for a while . Also the pop-up windows to re-sign up every once in a while , while trying to use boomerang are a bit annoying.It would be great if there could be added timezones in the times of sending an email . There could also be emails with information once in a while on boomerang new feautures and how to benefit from those , even small videos of people using it and how it helped . Use it and you will never forget to send an email or annoy a partner late at night when you are working . Working at night with emails that have to be sent first thing next morning or with different time zones has been way easier with boomerang . "Makes planning future emails easy!" My favorite feature of Boomerang is the ease of planning future emails. For some reason, it is hard for me to trust that my emails will actually be sent out at the time I plan for them to. Because of this, I usually stress myself out and end up manually sending the email so I have control over the time it goes out. Now that I have Boomerang, I can plan an email, select a time for it to be sent, and forget about it. I haven't been using Boomerang for long, but I haven't found a feature that I dislike yet. I am able to schedule emails to be sent. It also helps me reduce miscommunication, because I choose to see who opens my email and who doesn't. By identifying who doesn't see my email, I'm able to reach out to them personally to get them the necessary information that was in the email I sent. That way, if one of my emails gets lost in the shuffle, I know who didn't read it. "People don't respond to (most) emails - Boomerang helps me follow up!" I have multiple gmails, and need a few accounts to provide functionality to all of them. I boomerang virtually every email I send. It's only as useful as you are disciplined enough to use it and follow through on your reminders, otherwise it will further clog your inbox. Email is overused, but Boomerang helps me manage my communications with team members, vendors, and customers alike. When I ask someone a question via email, or ask them to do something, Boomerang helps me to quickly set a follow up reminder (hours, days, months, monday at 11am, etc.) that is contingent on their response or lack of response. "Useful for some personal emails"
I like that it's fairly easy to use and the way it can easily integrate into your google web browser for use in gmail as well as for use to send specific web pages you're currently viewing. If you're not using a CRM it is a rather decent tool for staying on top of emails and tasks and a great way to remind yourself that there's contacts you need to reach back out to. As with all applications designed to specifically track when emails are opened or viewed, it is difficult to tell who is opening an email (when sent to multiple people), but worse still is that if you open the email yourself it still shows as an open. The click through numbers I've found to be rather unreliable as well. The user interface could also be more intuitive. I wish there was a Google Chrome extension for Boomerang that allows you to view all of your scheduled messages and tracked messages without having to go to a new tab (similar to HubSpot's extension/plugin). As previously stated, it's great for less important emails, it gives you an good idea of opens. I use Boomerang primarily for personal emails that I need to be tracked, I don't use it as much for work anymore, HubSpot is more reliable for business emails. I have noticed that Boomerang for Gmail is significantly better than requesting read receipts on emails sent. "Best timing for your emails"
Sometimes it is very late at night and you don't want to disturb anyone with an email, maybe you know they will probably check their email first time in the morning or they live in another time zone, and they won't be available until later in the day. That's when Boomerang comes in. You can schedule your messages for any day, any time, so that they have the best possible timing. There is very little to dislike about this feature, it really does what it is expected to in a very efficient way. The only con I see is sometimes your internet connection may not be the best and it has happened to me that my message failed to be scheduled correctly-this can be prevented by double checking every time you schedule something. Double check that your message was scheduled correctly, better to be safe than sorry and to fail to send an important and time-sensitive email! It solves many problems related to communicating with colleagues or clients who are in a different time zone. Your emails may be forgotten if they are sent off-hours or they may even be intrusive. Boomerang is also useful for postponing or scheduling a certain topic for another time, for example, Monday morning instead of Friday evening. Boomerang also includes the feature of postponing messages in your inbox to read them later. I haven't used this feature as much as the scheduling one, but I can certainly see similar benefits from it. "Handling mails like a Boomerang"
Boomerang can stop your gmail inbox to receive more mails - you can easily press one button to deactivate the inbox so to speak. This often helps to concentrate on your current mailings. Just do not forget to activate it again. You do also have interesting insights on views / clicks of your mailings when using Boomerang. Generally the idea is simple.. you do not have time to work on several subjects / mails and you prefer to keep your inbox clean. Once you received a mail you can use boomerang to re-send this mail back to you in a specific time once you are ready to deal with it. It can be done fast using this tool, however it lacks a better overview what status a mail has and when it is scheduled to be returned to you. Check out If No Reply as well - it offers a slightly better interface and offers similar functions. Boomerang is extremely easy to use, basically you press one button only. It helps a lot when your inbox gets stressful - you can just close the gates for a while and open them up again when you are ready to. "Great for ensuring emails get read"
I love that I can write an email on a Friday night and have it go out first thing Monday morning, when everyone is more likely to see it coming in rather than digging through old emails. Or if in writing an email at an odd time I can make it send later so it goes during regular work hours. This is also useful if you know someone is on vacation and want them to see it when they return. Boomerang tried to automatically set when the email will go out so changing the times sometimes yields odd results. I haven't figured out how to adjust it if I chose the wrong time other than the send now feature. I can write mass emails with instructions or important information and have it go out at a time with high chances of it being seen. It also gives tips on how well my email is written. Additionally, if I need a response I can set it to remind me if I don't hear back within a set time period. I can also have it resend me emails I need to respond to if I'm swamped but know it's important. "Boomerang is a preferred method for first scheduling attempts"
I like the ability to, with simple clicks, suggest times within the body of an email and reserve them on my calendar until confirmed. This is the most courteous way to suggest a meeting time and I usually begin with this approach and also include a link to a separate calendar page (hosted by HubSpot) that enables people to find a time on my full calendar if the suggested times do not work. Because the service does not host a separate "My Calendar" page where people can go select a time on my calendar that works for them, I have to use Boomerang in conjunction with a separate service that provides this functionality. Boomerang does enable you to insert a large calendar that shows availability in the next week and allows people to reserve a time, but the inserted calendar is clunky and not attractive. So, I don't use it. Use in conjunction with a hosted calendar where people can select a meeting time if the times you suggest do not work for them. The "pick a time on my calendar" feature for Boomerang is not attractive or feature-rich and only shows the coming week. Scheduling meetings and reserving times on my calendar efficiently. "Fantastic tool for the perpetually forgetful emailer"
I all too often rely on people to respond to me, and prompt the next step in any given interaction. If someone fails to respond within a couple days, whatever task or question I wrote to them about will fall through the cracks, and I won't remember until it's too late... Boomerang acts as a safety net, reminding me to follow up! I wish there were more scheduled email credits for free, but they have to make money somehow! Otherwise, I have no complaints, I'd say $4.99/month is a fair price for the service I'm getting. Just go for it. Boomerang will change your email workflow, and once you have it, you'll wonder how you ever lived without it! I'm solving serious issues with follow up. Instead of forgetting to nudge a prospect who just needs a reminder before I can make a sale, I'm consistent with contacting people on the dates I suggest. I'm no longer having contacts, project elements, or tasks fall through the cracks. Email is my most efficient task list, and Boomerang helps me stay on top of things. I also like the option to request read receipts and track clicks. It's not 100% accurate, but it gives me some data, and that's always helpful. Benefits, as mentioned above, is that Boomerang allow us to prepare emails, for example, ahead of time and we have the option of choosing a later date/time to send it. So say is a holiday and we have an sensitive timing email that needs to go out when no employee is in the office, boomerang does that for you. All you have to do is schedule it. "Simple tool for maximal efficiency"
Boomerang is seamlessly integrated into my gmail habits and functions as though a native gmail product once installed. There have been times where it gets a big buggy in the past -- not showing up on my toolbar where it typically is, etc. Usually a page refresh does the trick. I love the "return to inbox" feature to remove non-pressing emails from your inbox and minimize clutter. The "return if no one responds" is a great way to stay on top of asks on others or open Qs. A great way to remind yourself to follow up if an email goes unanswered. 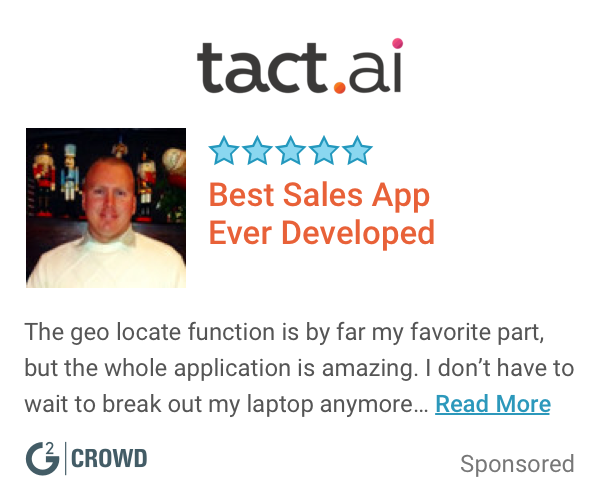 "Great For Getting Emails Out While They're Top Of Mind!" Boomerang is a great way to preschedule emails while they're top of mind. It's a great way to stay organized and maximize your time, while you have it! The interface for boomerang can be a bit clunky and confusing. It would be great if this was updated to be more user friendly. This is a great, simple way for the busy employee to maximize their time and be efficient at work. I often have to send out reminders for deadlines and this is a great way to do it ahead of time. It ensures that you are maximizing your time while you have it and not doing things last minute. 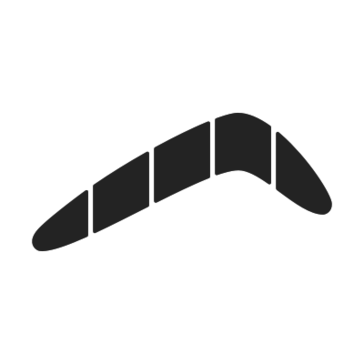 "A must-have for anyone who cares about work emails"
Boomerang is easy to use. You can probably get the hang of it in a few minutes. They're also quick to install and the tool is pretty straightforward. I suggest to play around with the tool for a while. You can send scheduled emails to yourself and see how they work before you send your first work-related email, so at least you won't have any accidents later. Boomerang also has AI feature that evaluates how your email will be read and responded to. While the AI is based on some solid science, still use your own judgement when writing emails. Nothing beats experience in the end. You should also look at customizing the suggested time intervals so you can quickly schedule emails by just selecting your own pre-approved choices. I can send emails at the optimal time, like for example, if I know what time does my contact open their office and check their email, I can time my email to send just 5 minutes before they open so that my email is the first on their queue. I can also increase the chances of my emails being read and responded to with their email analysis feature where they use an AI to analyze subject length, word count, question count and reading levels. Another interesting feature is tracking whether my emails were read or received. Waiting for responses are more bearable if you know what phase your email is in. I love that it helps me achieve inbox zero by postponing emails that aren't important to when they need to be seen to. I use it primarily before going on vacation so that I can focus my energy on the emails that need to be taken care of before I leave while not having to see the emails that aren't as important. It does exactly what it says it will, It's not cumbersome and it operates in the background. Achieving inbox zero, being more productive because I don't have email clutter. "Take back your email! " My favorite feature is being able to boomerang email back to myself after a few hours. It's an easy way to get something out of sight for a while but not lose it forever. Pricing is a little more than I'd like to pay. Having a cleaner inbox has proved invaluable for me. It helps me free up mental space for more important things. I also love the "respondable" rating on emails. It's encouraged me to be more direct in emails. "Boomerang is the ultimate app for Gmail"
I was surprised most of these features aren't already available in Gmail. I use Boomerang at least once a day to schedule an email to send later that day or week, to return an email I don't want to address right now, or to ping me if a group of people doesn't respond. For better or for worse I pretty much run my day on email and Boomerang really helps me get to that goal of inbox zero. Everything is pretty awesome. I feel like if the tool were native to Gmail it would run a little faster and be a bit more intuitive, but overall I wouldn't be as efficient without the tool. There's nothing else like this out there. If you want to be a level 10 Gmail user then use this software. Ever want to send an email to someone at a future time? I do that alot on Sunday so it doesn't freak out my team. Or when someone says, "sure I'll take that intro, but can you connect me next week?" Or have you ever sent someone something to do and wanted that email to pop back up if there was no response? Or if you know you need to address an email, but you really don't want to deal with it now? Schedule it to return in two days! Maybe you'll have more time then! "Great for Pausing the Inbox"
I don't use this program to it's full potential, so I can't say I have a dislike at the moment. Mainly, increasing my productivity by reducing distractions. "Boomerang = Modern Day Office Hero"
I love scheduling emails to come back to me so that I'll remember to check in on something after a few days (or few weeks). I dislike that Boomerang isn't on all of my email accounts. Boomerang is worth it by Day 2 in the month. I use it every single day. Boomerang has been a huge help for staying on top of tasks, project management, checking in with clients on outstanding questions. It's great that you can schedule an email for later as well. I use this to shoot myself emails as well as responding on a thread after some time has passed. "Very useful app but pricing restrictions unwieldy"
Boomerang lets you schedule emails to return to the top of your inbox whenever you'd like, so it's super convenient to allow you to keep your inbox organized and stay on top of things you need to do. I also like being able to use their robust Read Receipts feature, and the ability to schedule my emails to go out in the future. Their pricing structure is terrible. I use Gmail via Google for Work (aka Google Suite) so in order to use more than their allotted 10 free Boomerangs per month, you have to pay almost $50 / month just for one user. No company would pay such a high price for a program that simply returns emails when you want them to return; and I'm certainly not going to pay out of pocket. If you just use them on your personal Gmail, then it's much more reasonable at $10 / month. It helps you stay more organized. It helps you remember to read or respond to emails you'd otherwise forget about and avoid having them get buried in your inbox. I've even used their Read Receipts for legal proceedings because they're more robust than regular Gmail Read Receipts. Boomerang makes it easy to pick a send time/date for emails. I love the plugin which allows for the decision to be made while composing an email without going into another window or program. The interface could be improved. It can take a moment to determine if you are modifying the send date or the time you will be reminded of the email. Boomerang is easy to use. Oftentimes, I have the time to compose an email prematurely but do not want to a recipient to receive it immediately or have plans for it to go out the next day. I mainly use Boomerang for interoffice or client communication. "Has helped my productivity with minimal effort"
I can "boomerang" emails back to my inbox to remind myself about tasks or communication. I also really like that I can schedule emails to go out at a later date. Boomerang doesn't live "natively" in Gmail, but you go to a different website to manage scheduled emails. Take time to experiment and get to know the features. Scheduling and follow-up of emails. It's been super helpful to get those "reminders" when the email pops back to the top of my very full inbox! "I love the ease of this and the reminders help me stay organized!" I enjoy being able to have better followup and in timely manners that I can easily use, it helps keep me and my team on their toes with following up! Definitely a worthwhile tool to use if you want to be more organized! Benefits have included better organization, more efficient and timely follow-up! "A nice tool in conjunction with other gmail tools"
If you get an email that you have to act on in the future you can boomerang it to show up on that day or the day before, any date you want, so it is right on your mind when it is due. I was hoping to get read receipts of emails i send out, this does not do that at all. A good addition to Gmail to increase functionality and keep track of time sensitive emails and projects. Should be used in conjunction with a couple of other apps. "Great option to send emails later"
Flexible scheduling options including quick "2 days later, tomorrow morning, etc" as well as precise time selection. I like that there is a Boomerang specific outbox that's created so you can easily manage all your scheduled messages. There is a cap of how many emails you can schedule monthly. You can of course pay to receive more, but for the free version this is my only drawback. Helps me work more efficiently and stay on top of follow ups. Particularly useful for when I need to send a timely message but will be out of the office or otherwise unable to send it at the correct time. "Boomerang is so easy to use!" The ease of use--I don't feel like I ever had to even "learn" how to delay send or boomerang return emails. It's just that intuitive! There isn't anything I dislike about using Boomerang. Delay send works wonders--our work is in the education field, so when educators and administrators are out of office on breaks, we can stay productive by teeing up emails upon their return. "I love being able to schedule my emails"
I love being able to schedule my emails ahead of time. I am a musician and I have very odd working hours because of it, often having late night rehearsals and concerts. And sometimes I seriously have had to wake up, to write emails in the morning. But now I can just do it before I go to bed and schedule them to go in the morning. Sending out early morning emails late at night. "Never forget another follow up"
With so many things happening over the course of a day, a simple follow-up email is usually the thing to get lost in the weeds. With Boomerang for Gmail, you will never have this problem again. Boomerang allows you to set a reminder on an email to follow-up with a particular person. There is nothing I dislike about Boomerang. Boomerang allows users to always remember to follow-up via email. By using this tool, users should never forget a follow-up and lose an important touch point with the person they are contacting. "Boomerang makes scheduling emails easy!" I just like the easy user interface. It's super straightforward and you can easily view your scheduled emails and even better you can edit them while they are still in the queue! I've never had a problem with emails sending early or not sending either. i think i have the free version, so there is a limit to the number of emails i can schedule per day using the service. give it a shot and see if it helps you reach your business' goals! my job requires that i send reporters press releases under embargo. many reporters are on the east coast and im on the west coast. it's vital that i schedule emails super early before i get to work to guarantee that my stories aren't missed or sent too late. "Love using it to schedule emails to send in the future"
Sometimes, it's important to catch your email's recipient at a specific time of day. I love using Boomerang to send messages at a scheduled time without having to worry about remembering to do it myself. It can be a little confusing to use, but it's not bad. "Supportive for busy managers and to hold people accoutntable"
I love how you can bring messages back to your inbox without having to think about what else you need to do. Additionally, I love that you can send out messages that you have crafted and time them to go out. I love that you can always have things brought to your attention when you need it. There isn't really anything that I dislike about it. I think its really helpful. Replying to emails, following up with people at a specific time and being ahead of the people you manage. I realize that emails and sending up follow up is very important and this helps me. * We monitor all Boomerang for Gmail reviews to prevent fraudulent reviews and keep review quality high. We do not post reviews by company employees or direct competitors. Validated reviews require the user to submit a screenshot of the product containing their user ID, in order to verify a user is an actual user of the product. Hi there! Are you looking to implement a solution like Boomerang for Gmail?